BISMARCK – Mary Rennich and a handful of North Dakotans only wanted to listen, perhaps ask a question about healthcare if time allowed during a Republican press conference at the North Dakota Farm Bureau on Wednesday. 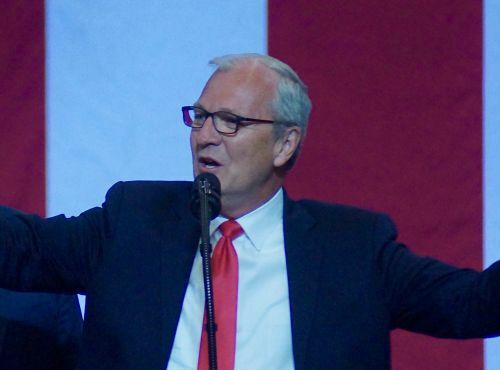 Instead of having their opinions welcomed, current Congressman Kevin Cramer’s campaign manager, Pat Finken, said they were on private property, and threatened Rennich and others with physical removal from the building if they dared say a word. One of Rennich’s sons suffers from autism and a learning disability, and the other with epilepsy, Rennich said, which makes the issues surrounding coverage for those with pre-existing conditions important to her, as well as more than 317,000 other North Dakotans. Questions pertaining to the incident and directed to Cramer’s campaign communications director Tim Rasmussen were not answered. The Republican press conference on Wednesday was in damage control mode, attempting to “set the record straight” on healthcare issues, and was attended by Lieutenant Governor Brent Sanford, Attorney General Wayne Stenehjem, Insurance Commissioner Jon Godfread, and state Senator Kelly Armstrong. Each voiced their support for the Graham-Cassidy health care bill, which Democrats say undermines protections currently in place for those with pre-existing conditions, seniors, children, and people with disabilities. 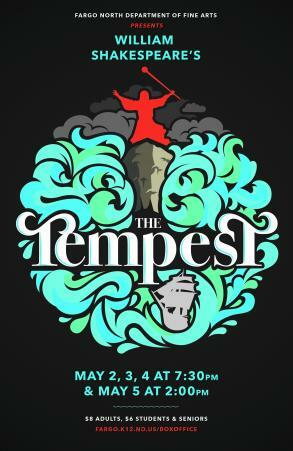 The same day Rennich and others were threatened, Cramer’s incumbent rival for the U.S. Senate, Democrat Heidi Heitkamp, held a press conference by telephone striking back at Cramer’s support for a Texas-led federal lawsuit that Stenehjem has brought the state into. The lawsuit seeks to repeal the Affordable Care Act by alleging the law is unconstitutional as its individual mandate is no longer valid. On Tuesday, Republicans stated that North Dakota – joined by 19 other states – is not deterred from its participation in the federal lawsuit. 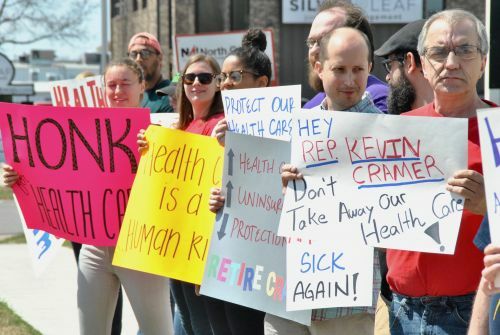 During a recent interview, Cramer said that the Republican plan will not hurt those with pre-existing conditions, but added that some of his constituents are playing the system. Cramer has voted 65 times against current healthcare laws, and voted to repeal the ACA without a replacement five times. He also voted to dismantle Medicaid expansion. “Democrats continue to push a big lie and we can’t stand for it,” a press release from the North Dakota Republican Party Communications Director Jake Wilkins stated. “The only group talking about eliminating coverage for pre-existing conditions are the Democrats. Not true, Heitkamp, former U.S. Congressman Earl Pomeroy, and other Democrats said. Pomeroy is currently working with Dakotans for Health, an ad hoc group of North and South Dakotans focused on maintaining and improving provisions within the ACA. “If the Stenehjem lawsuit is successful everyone loses protections for pre-existing conditions. Period,” the report from Dakotans for Health stated. If the federal lawsuit succeeds, insurance companies would be able to deny, drop, or charge more for coverage for more than 317,000 North Dakotans with pre-existing conditions, 47,000 state residents with health insurance through Obamacare, and 7,500 young adults currently enrolled on their parent’s health insurance plans, according to Dakotans for Health. The Graham-Cassidy bill, deeply unpopular in Democrats and Republicans including senators John McCain and Susan Collins, will take up to $676 million away from Medicaid. Premiums would skyrocket, could raise costs for seniors slapping them with an age tax. Republicans say current insurance rates have gone up from $278 to $399 a month because of Obamacare, but because Democrats say the increase is a direct result of GOP sabotage, chipping away at the law and creating chaotic markets, according to the Dakotans for Health. More than 150 patient groups, physicians, and hospitals, including American Medical Association, American Cancer Society, American Diabetes Association, and others, say that repealing ACA would have devastating effects on insurance markets and the economy. Partial repeal of the ACA or eliminating Medicaid expansion would be “catastrophic,” forcing 32 million Americans from their insurance plans by 2026, according to the Public Health Scholars and the American Public Health Association. Additionally, before the ACA protections, discrimination against those with pre-existing conditions, age rating, and annual and lifetime caps were out of reach for many older adults. A recent study by the Agricultural & Applied Economics Association also reported that 14 percent of farmers have transitioned from employer-based insurance options to become enrolled in a public health insurance plan since the ACA became law. Republican claims that Obamacare does not work for North Dakotans is also wrong, the Dakotans for Health reported. Since the ACA became law, 47,000 North Dakotans have health insurance directly because of the ACA, and it is also illegal for health insurance companies to discriminate against those with pre-existing conditions. Because of Medicaid expansion, more than $27 million in federal funds have been added to rural state hospitals. If Mary Rennich and her family lost insurance, she would be facing more than $7,500 a month in medical bills.